The Pharmaceutical Industry has been a long time leading industry in delivering effective and safe vaccines, drugs and diagnostics. In fact, new medical entities continue to be launched to the great benefit of patients and society at large underwriting life span extension and improvement of quality of life worldwide. However, grave concerns have emerged regarding the ability of the industry to maintain the pace of innovation and productivity due to exponential R&D cost escalation and diminished revenues. These pressures emanate from patent expiration, regulatory requirements and health management cost-containment that no doubt contribute to the emerging stagnation in effective deliveries of new medical entities (NME). A direct consequence of this unfolding reality is manifested by accelerated mergers and acquisitions, driven by dwindling new products from internal R&D pipelines that force acquisitions of product from liquidated companies with the ultimate contraction in R&D and overall diminished work force of skilled professionals in the Pharmaceutical R&D sector at large. While ‘external’ factors contribute significantly to the dire situation that the pharmaceutical industry is facing, the ‘forces’ that govern this new reality are more complex and beyond the ‘external’ ones. Analysts of the sector as well as officials of experience and knowledge in the Pharma business have pointed to major deficiencies in the ‘internal’ milieu of the Pharma R&D that directly contribute to high attrition rate of products and ever growing challenges in translational medicine. These ‘internal’ R&D issues have been subject of many reviews in recent years, all pointing at deficiencies in translational principles from discovery through pre-clinical development and early clinical proof of concept studies. Such examples include insufficient target validation, lack of in depth pharmacokinetic and pharmacodynamic workout, limited use of biomarker to guide mechanism of compound action and most importantly, patients’ selection for pilot proof of concept clinical studies. 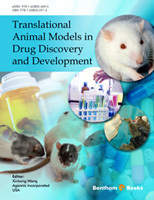 This eBook on “Translational animal models in drug discovery and development” is an important addition to the subject matter – why Pharma fails to deliver innovative, effective new medicine in spite of rapidly escalating costs? First, while animals share genetic, biochemical, physiological and anatomical elements of some similarities to human biology, large variations in regards to humans persist in most fundamental ways. It is, therefore, imperative that prudent choices are made in regards to the extent of congruency that the chosen species carries in regards to the respective targets and systems in humans. In this regards, the excessive use of rodents, while clearly cost and time effective, as compared to larger species (dogs, pigs, non-human primates) also carries risks of more remote and diminished relevance to humans. Thus ‘positive data’ in rodents often turn to be ‘over-promising’ or misleading as also the lack of safety issues in rodents that turn to miss harmful pharmacology in humans. Second, disease processes in humans that are induced/simulated in rodents (often driven simply by costs and conveniences) could present phenotypic similarities (such as gross systemic or behavioral variables) yet often differ from the humans on mechanistic grounds, leading to grave disappointments in clinical development at painful costs and wasted time. Use of biomarkers for selection of “responders” vs. “non responders” that are rarely considered in animals due to the homogenous (mostly rodents) nature of the laboratory animals (especially rodents) vs. the expected large variability of humans/patients. This eBook addresses all these issues via specific case studies. Each particular case study presents to the readers the importance of global, comprehensive congruency of animal models to humans biology, disease processes as well as “targeted product profile” most suited to each disease. The editor has chosen prominent diseases where failure in translation has plagues progress in advancing medicines in these difficult diseases. Stagnation in realizing needed medicines to treat chronic heart failure, stroke, malignant neoplasms, asthma and COPD is escalating the burden of management of these diseases on national and international scale. The eBook thus adds an important reading, education and implementation guidance that is most timely and essential if Pharmaceutical productivity and innovation are to make the turn for better success in this decade. Animal models of diseases play a pivotal role in drug discovery and development, ranging from proof of concept studies such as target validation, efficacy, pharmacokinetic and pharmacodynamic correlation to drug safety and tolerability assessment. Since considerable variables and differences exist between animal models and humans (such as genetics, physiology, anatomy, gene expression, or heterogeneity of disease conditions), none of the animal models fully and authentically represents the human biology and disease pathology. Therefore, partly due to the same reasons, enormous therapeutic agents demonstrated to be effective in preclinical models have failed in clinical studies in regards to efficacy, safety and tolerability. This eBook has undertaken the mission to address translational gap that emanates from the lack of congruency between preclinical models and humans, via systematic analyses and ‘case studies’ exemplifying animal models of disease from translational medicine perspectives. It is hoped that the readers will benefit from the specific case studies illustrated in this eBook, and eventually incorporate such experiences in their own schemes of drug discovery and development. In spite of the significant advances in modern diagnostics, therapies and improvement in patient management, a substantial number of acute and chronic diseases manifested remain significant unmet medical needs. Such diseases include chronic heart failure, malignant neoplasms, cerebrovascular diseases, and chronic lower respiratory diseases, which ranked the highest according to the latest US National Vital Statistics Reports (www.cdc.gov/nchs). While it is not possible to encompass all the diseases, we felt that focusing on three major therapeutic fields (cardiovascular diseases, cancers, and inflammatory disorders) is able to provide for sufficient representative examples that contain generic issues across other therapeutic disciplines. In all these case studies, the generic nature of “translational model” principles and their impacts on successful drug development are clearly demonstrated. The editor has been particularly fortunate to obtain high quality contribution from prominent authors with long standing experience and accomplishment in animal modeling and implementation of translational medicine principles. In summation, all chapters were crafted to ‘fit for purpose’ with regard to the objective of this eBook. The first therapeutic area deals with the “number one” killer of cardiovascular diseases. Chapter 1 describes animal models of atherosclerosis, the underlying cause of most types of cardiovascular diseases. Numerous and diverse animal models of atherosclerosis have been offered over the past decades yet a key pathophysiological process, the rupture of the atherosclerotic plaque that leads to thrombus formation and vessel occlusion remains a major translational medicine issue in respect to monitoring drug effect on this enigmatic process. Heart failure is the leading cause of adult morbidity in developed countries. Animal models of heart failure are instrumental in assessing compound efficacy but much less so with regards to safety. Chapter 2 describes the strategy and provides examples for the use of heart failure models to investigate cardiac safety. Animal models of stroke are another example of most challenging disparity of congruency between preclinical models and humans. Over the last several decades, a large number of investigational compounds have demonstrated success in preclinical models but failed in late clinical studies. Chapter 3 discusses issues and opportunities for the use of animal models of ischemic stroke from translational perspectives. In contrast to stroke, coagulation factors and their roles in thrombosis and hemostasis are probably the best case to show the congruency between animal models and humans. As depicted in Chapter 4, coagulation factor deficiencies in both humans and mice are associated with remarkably similar phenotypes in regards to hemostasis and thrombosis, which could benefit significantly for the anticoagulant drug development in preclinical models. Cancer is another premier therapeutic area most suitable for translational medicine scrutiny with respect to translational medicine and personalized medicine. Tumor xenografts are the most commonly used preclinical models for efficacy in part due to the availability of many human cancer cell lines and tissues. Chapter 5 provides specific examples of xenografts using human breast cancer cell lines. While xenograft models are of value in establishing compound efficacy, limitations are apparent such as the need to use immunocompromised animals that restrict their broader translational value. Complimentary to xenografts, tumor models such as genetically engineered transgenic mice of mammary carcinoma are presented in Chapter 6. As shown in this example, over-expression of the rat neu oncogene drives the development of mammary carcinoma in BALB/c female mice. Because of the immunocompetent state of this model, various therapeutic agents and vaccines, including those that rely on the effective host immune system, can be evaluated successfully in the model. Inflammation is associated with many diseases, including not only those with non-immune etiological origins such as atherosclerosis, ischemic heart disease, stroke, as well as cancers as described in early chapters, but also those with immune system disorders such as asthma, inflammatory bowel disease (IBD), rheumatoid arthritis, and likewise chronic obstructive pulmonary disease (COPD). Chapter 7 presents animal models of asthma. Reproducing features of asthma in animals is a significant challenge, since the nature of this disease in humans is not fully understood: the human disease is defined mostly by phenotype and functional respiratory tests (FEV1) rather than by molecular mechanisms. Similarly, modeling COPD in animals is difficult, in part because COPD in humans often encompasses four different pathological processes (i.e., emphysema, small airway remodeling, pulmonary hypertension and chronic bronchitis) and the variable clinical syndrome of acute exacerbation. The currently available animal models only produce some, but not all, of this disease pathophysiology. Cigarette smoke-induced COPD models are described in Chapter 8 in respect to the traditional insult that underwrites the human disease. IBD involves chronic inflammation of all or part of the digestive tract. In spite of a large number of IBD models that have been developed, none of them sufficiently mimics the human disease because of the complex role of the diverse gastrointestinal flora, the genetic predisposing factors and the host immune system. Chapter 9 describes various models of IBD, their translational challenges, and their values in current and future therapeutics. Rheumatoid arthritis is one of the most frequent immune-mediated inflammatory disorders. While most rodent models of rheumatoid arthritis provide acceptable congruency to the human disease, the evolutionary distance between rodents and humans clearly impacts their translational value. Chapter 10 presents a lucid review of unique models of arthritic diseases in non-human primates. These non-human primate models are of great value in assessing both efficacy and safety pharmacology of investigational drugs because of their genetic, physiological, immunological and microbiological proximity to humans. In summary, this eBook is the first of its kind compilation of translational medicine discipline applied to pre-clinical modeling in drug discovery and development. We hope that the strategy and examples presented here will inspire scientists to consider practicing translational medicine discipline in all disease models used in preclinical development phases that no doubt will enhance decision points in committing investments towards clinical development.